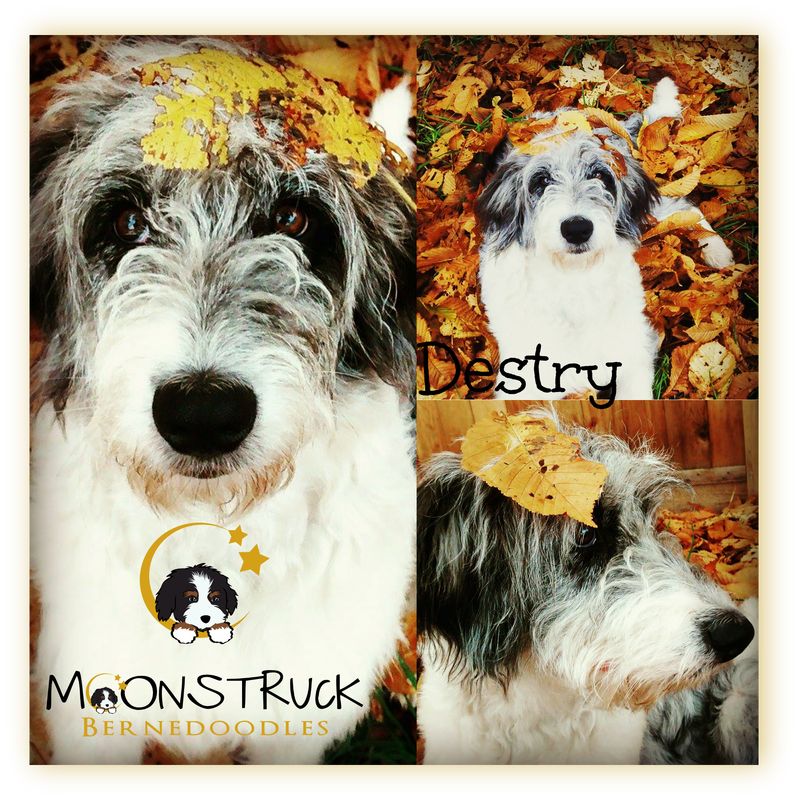 Our boy Destry is one of the most beautiful individuals you will ever have the pleasure of meeting. He is a social, friendly, clear-headed lad. 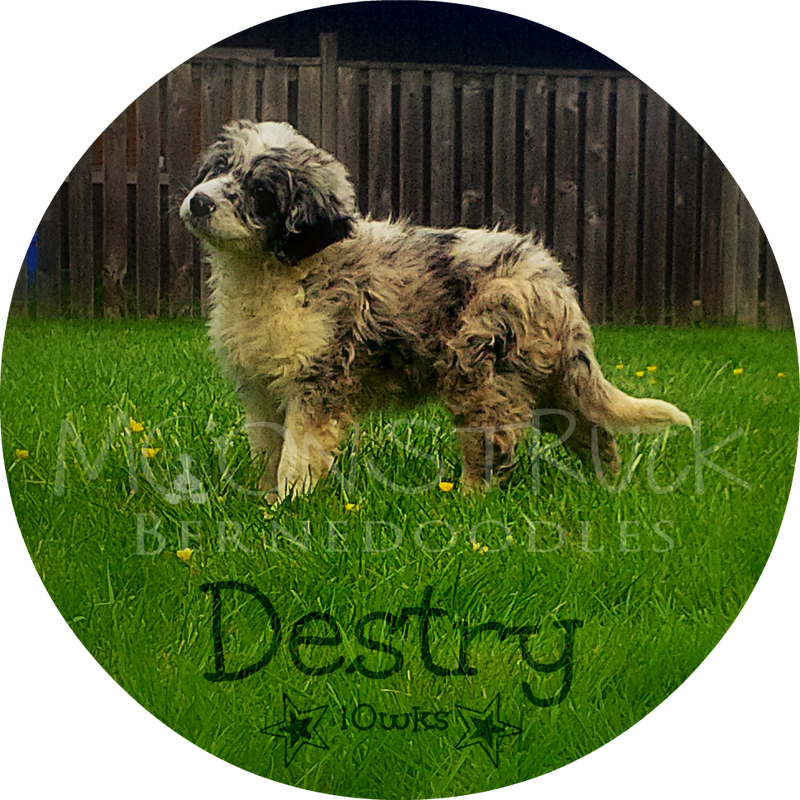 Destry is an extremely intelligent, very trainable dog (He gets that from his Australian Shepherd herritage no doubt!) who is agreeable and completely non-violent. 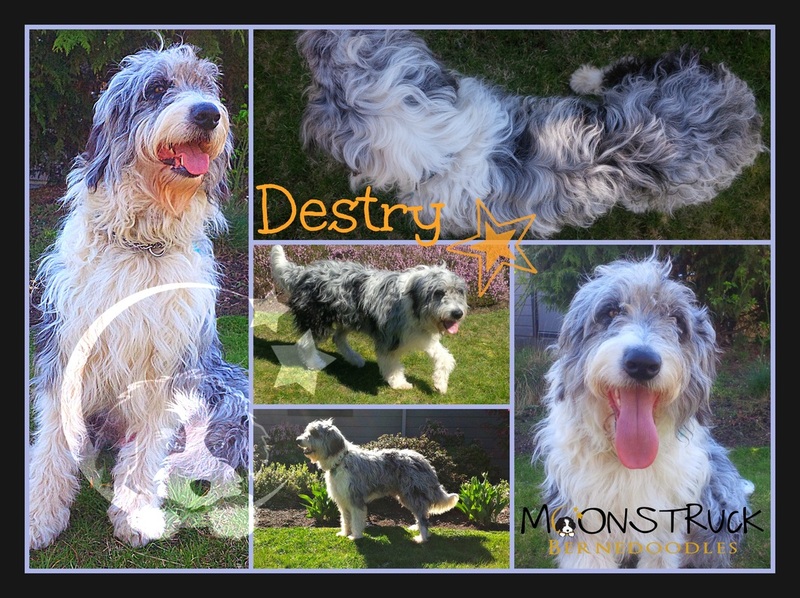 Destry lives in a guardian home in Comox, BC with 2 little girls and Moonstruck's Andy. 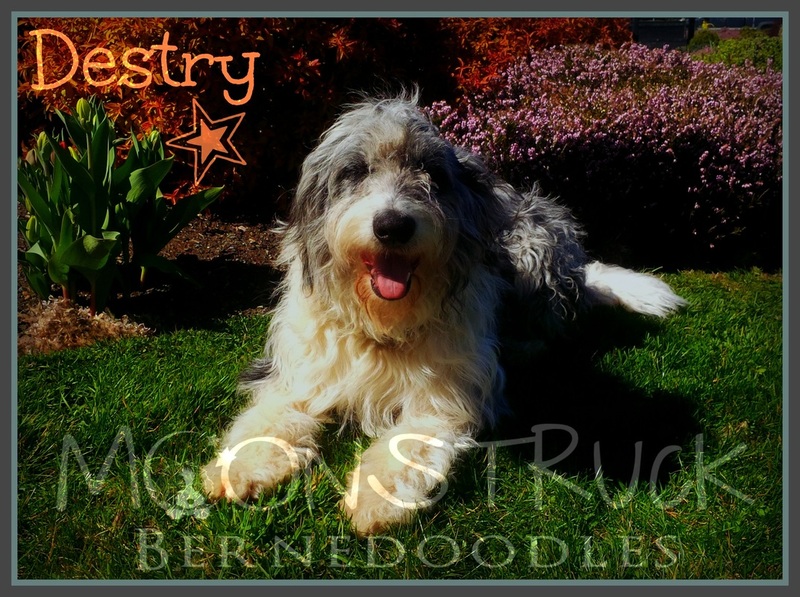 He is athletic and agile, enjoys hiking with his mom and her doggy adventure group Lake Trail Animal Adventures. 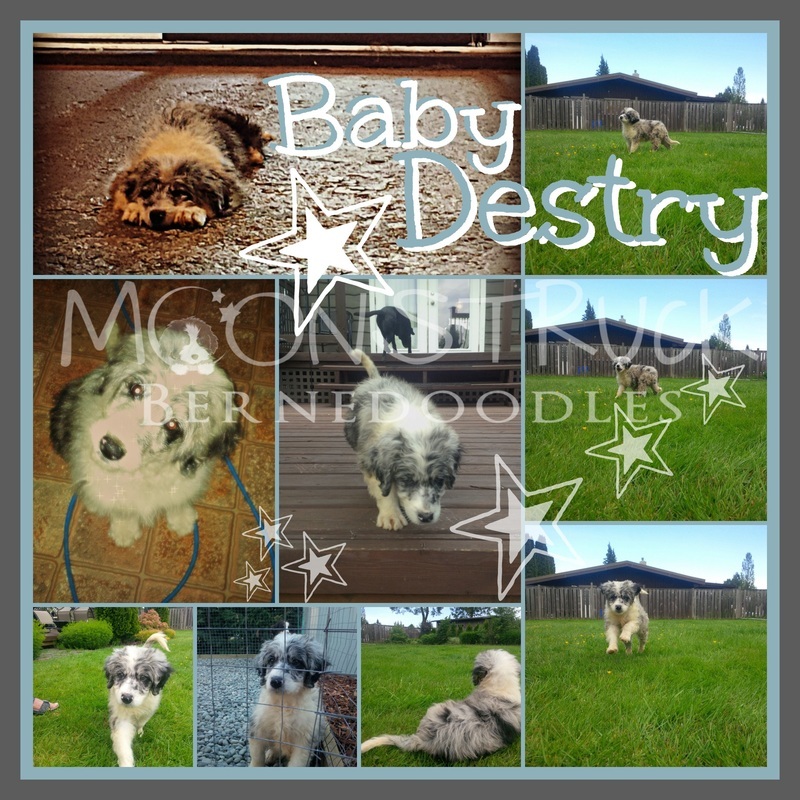 His temperament is everything anyone would ever want and more! 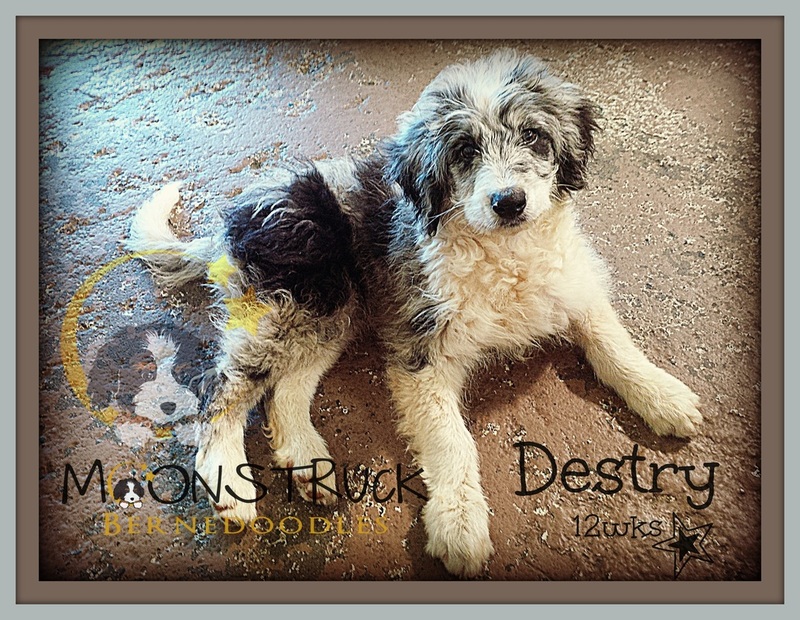 Moonstruck Bernedoodles is over the moon about Destry's unique roll in our breeding program!